Montana is home to two national parks—Glacier and Yellowstone—as well as miles of sweeping prairieland, mountains and foothills, lush forests, cattle ranches, Indian nations and some of the friendliest folks you could ever hope to meet. 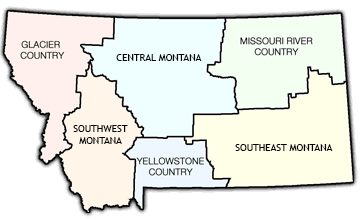 Our state is divided into six distinct tourism regions, including Glacier Country, Central Montana, Missouri River Country, Southwest Montana, Yellowstone Country and Southeast Montana, each providing visitor and traveler resources. With glacier-carved peaks, wildflower meadows and high-alpine lakes, this region is often considered Montana's wilderness playground. But it's features like cherry orchards and wild huckleberries, farmers markets and a thriving arts scene that make our state's northwest corner so alluring. This region has the best of both worlds. Breathtaking mountains rise up from the surrounding prairies giving way to the scenic Missouri River, ample wildlife viewing and unexpected detours that lead to plenty of worthy diversions. Montana's northeast corner pays homage to the great American roadtrip. This vast region's two-lane highways lead to over 1 million acres of protected wildlife habitat at the Charles M. Russell Wildlife Refuge, the homelands of three American Indian tribes and some of the state's best fishing—in Fort Peck Reservoir. 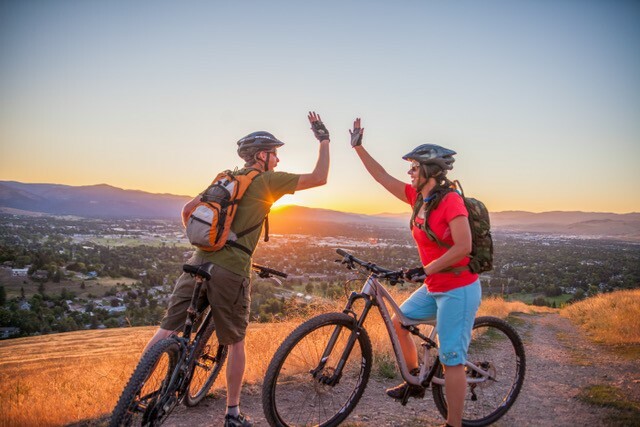 While the mining spirit lives on here, today's visitors mine the area not just for history, but for spectacular scenery and recreational opportunities like the Pintler Scenic Route and Gates of the Mountains. Take bison, geysers, wolves and grizzlies, then add in three destination ski resorts, world-class fishing and America's first national park and you'll fully understand why there's no place in the world quite like this part of Montana. Montana's southeast corner is one of our best secrets. It's rich with the history of America's last frontier in places like the Little Bighorn Battlefield, Pompey's Pillar, Makoshika State Park, and the world-famous Bucking Horse Sale in Miles City. But it's the region's friendly locals that will bring you back time and again.